Victor and Penny Life is short….live it now. Life is short….live it now. You know…to get all the things done that need to get done, like sorting through the hundreds of amazing wedding photos our photographer has given us, finishing a mountain of thank-you notes, making our Spanish Honeymoon reservations, updating our V&P website, making a new V&P video…the list is loooong, my friends. I’ve made some progress and yet…much remains undone. But I’ve decided that it’s ok, because summer! And for real, we’ve been busy. Our June was filled to the brim with music, touring, friends and a first-hand look at these gorgeous United States. We performed for a Roots Music festival, a Jazz festival in Oklahoma, and a Jazz festival in Wyoming that was especially beautiful. We played with our fabulous Loose Change Orchestra and also toured as the duo and trio. We gave four workshops and presentations around the West and Midwest on topics ranging from “Ukulele as a Rhythm Instrument” to “Crowdfunding for Artists” to “The Renaissance of Antique Pop” and “The Origins of Kansas City’s Early Jazz Sound”. We brought in our first guest artist, Danielle Anderson, to lead our Kansas City-based bi-monthly ukulele workshop series. We gave several press interviews and were the featured guests on two podcasts all while logging in a solid 4,000 miles over the road. And, we’re writing more new tunes! We did get to spend a couple of fun days kicking back with family for a much-needed deep breath. Whew. So…some stuff just hasn’t gotten done yet. But the sun is shining every day and calling me to my shady fern-lined porch for frosty beverages with friends and lots of laughs and I figure we better make time for that, too. This is my birthday month, and I take seriously the yearly reminder to take stock, make plans, and sit in gratitude for another year on this wonderful ball of dirt. I’m in the summer of my life and it’s good to be here. EXCITING NEWS: We received a last-minute opportunity to perform in Toronto for a lovely outdoor summer concert series, and we jumped at the chance. So, we’ve put together a short tour up to CANADA and I’ve listed the dates below. Please post and share the Facebook event and invite friends in these areas; it makes a big difference in helping us spread the word on short notice, plus we’d love to meet your people. The dates are listed below, and you can always find our full tour schedule here. 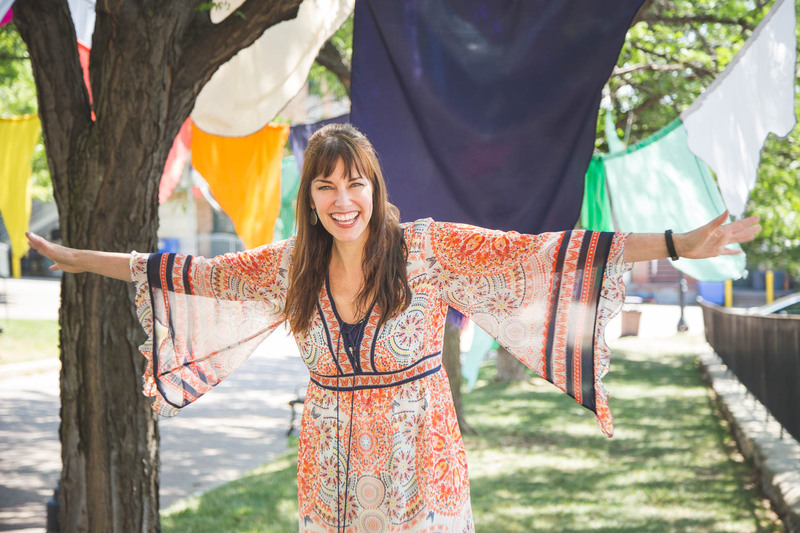 AND THIS: I was featured in this fun article about Kansas City entrepreneurs and cultivators – thanks to Bobby Burch and Startland News! Read the article. That’s all for now. Our tour schedule slows in August and we’ll be working on new material with plans for a recording and video emerging. And I promise – I will post wedding pictures! Thanks to all for asking. Summer’s here, friends…enjoy!